Laser treatments are the state-of-the-art solution to the problems that provide excellent results. 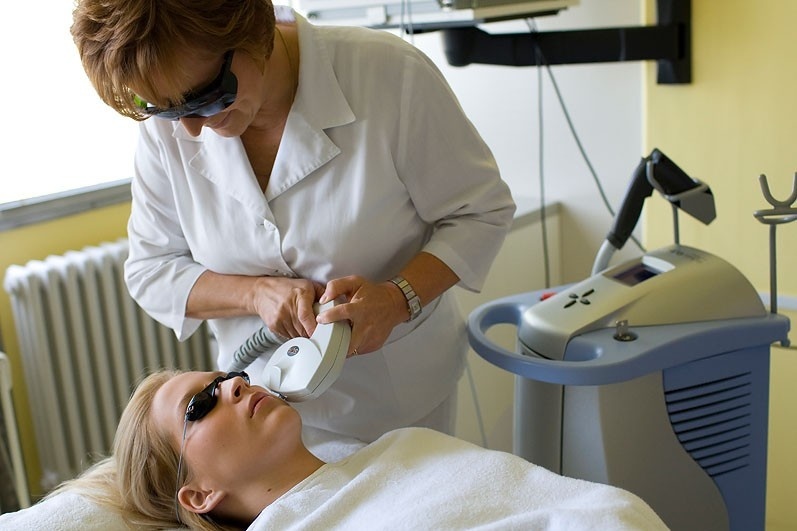 Laser therapy is effective in hair removal and wrinkle smoothing as well as with the removal of vascular changes. Excessive sunbathing and the use of a solarium accelerate skin ageing; with age, wrinkles and pigment spots form on the skin. Chemical peeling can reduce these surface skin lesions. This treatment removes skin lesions and contributes to the formation of the collagen in the deeper skin layers. Chemical peeling successfully removes or treats tiny wrinkles around the eyes, on the forehead, cheeks or mid-deep wrinkles, pigmentation spots (such as age spots, freckles etc. ), rough skin, surface acne, oily skin with enlarged pores and comedones. First-rate technologies, individually planned procedures and the cooperation of experts are the best recipe to obtain good results. Your body may be rejuvenated quickly and painlessly: we reduce the volume of specific parts of your body, improve your skin tone, give you smooth and firm skin without cellulite and permanently remove the increased fat cells. We recommend that all those, who notice hair loss, try an exam with the Trichoscan programme even before beginning therapy. With the help of this programme, you will be able to accurately track the number, diameter and density of hair on the scalp. The examination is completely painless. It is carried out on the part of the scalp determined by the doctor. With the help of Trichoscan, your doctor will easily assess the effectiveness of the prescribed therapy after a few weeks. Skin moles should be monitored on a regular basis as dangerous skin lesions may form from them. The Fotofinder electronic dermatoscope takes a photograph of the skin moles and stores it. By comparing the current state with an earlier image it allows us to identify early signs of change and gives us time to react appropriately.